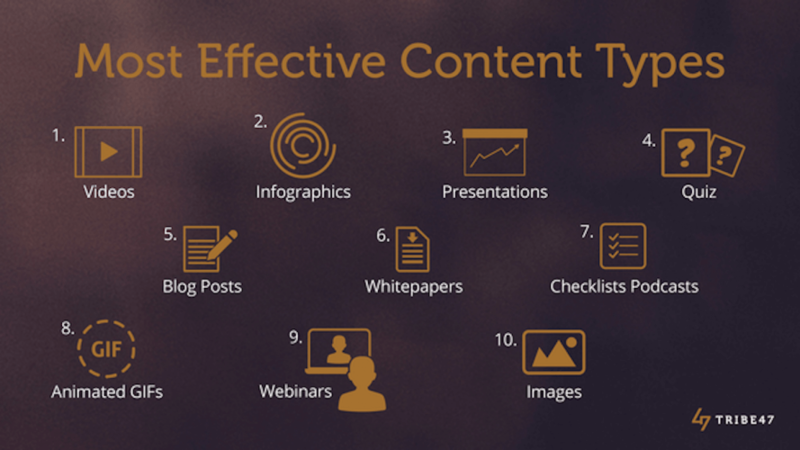 We’ve all heard a lot about content marketing and how important it is in digital marketing. But for many, it’s hard to imagine how in the long run, publishing all this content actually brings in sales. So in this article, let’s talk about that — how to approach content strategy from a sales perspective not just from a positioning perspective. Most individuals or businesses who have already set up some sort of digital marketing strategy, tend to focus on ads that take the customer to a landing page, that leads to a webinar that hopefully converts into a sale. This is a fine strategy. Many are doing this and it works. But let’s talk about how to set up the front end of your funnel with content first, not a straight up ad. Start off by providing a lot of value to your audience without asking them for anything in return. This is called “Ungated Content”. In our last post, my partner Ewa talked about ungated content in her article, 8 Most Expensive Online Marketing Mistakes. I’m hoping this article — amongst other things — will convince you just why ungated content will be a bigger driving force in sales, than just regular content. How Does One Stand Out? If your content is ungated and you’re not getting email addresses of your target customer in return, then how do you sell? How do you showcase what you do, what you’re good at, what value you can offer and set yourself up as an authority from your competitors? First, you have to be clear on who’s your avatar/persona and what’s your Unique Selling Proposition (USP). This sets up a solid foundation for the message you’re sending through your content at the very beginning of your funnel. 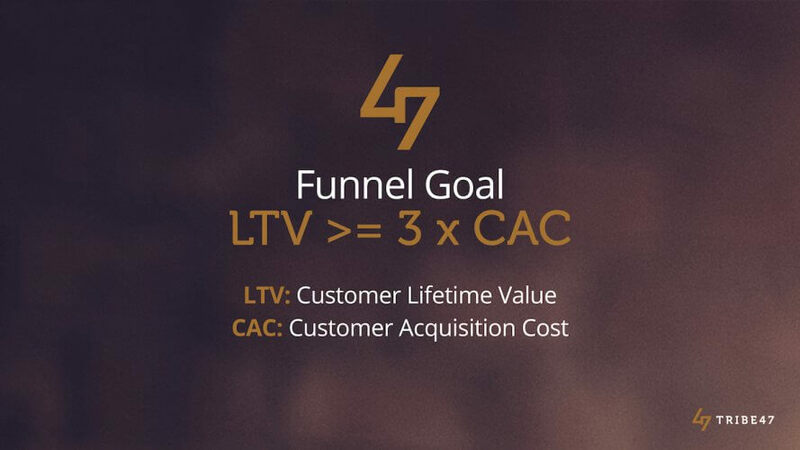 When you’re building funnels it basically boils down to making sure that the Customer Lifetime Value (LTV) is at least three times bigger than the Cost Per Customer Acquisition (CAC). This might be hard to achieve in the beginning, but with time, this is what you should strive for. Remember the LTV vs CAC formula mentioned in our previous article? If you’re using content to generate sales, other than making sure this content is valuable to your audience, you must also make sure it is strategically designed to fit your funnel and to serve your numbers. Do you see how important it is to have a good foundation of knowing your Persona and USP? After that, it’s about understanding what you want to say and picking the right content format to say it. A quick side note before we begin: These rules apply to those who are looking to drive sales through content marketing. 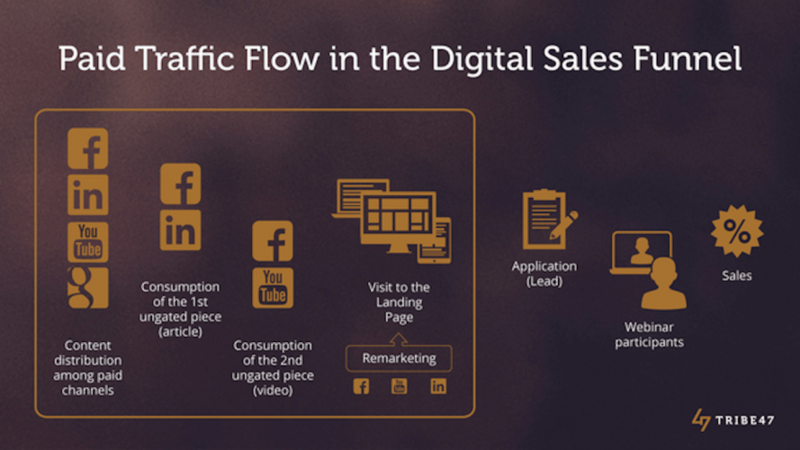 If you’re someone who wants more traffic, the rules might differ. Alright? Great! So here’s what we’ve learned so far about the stated rules. 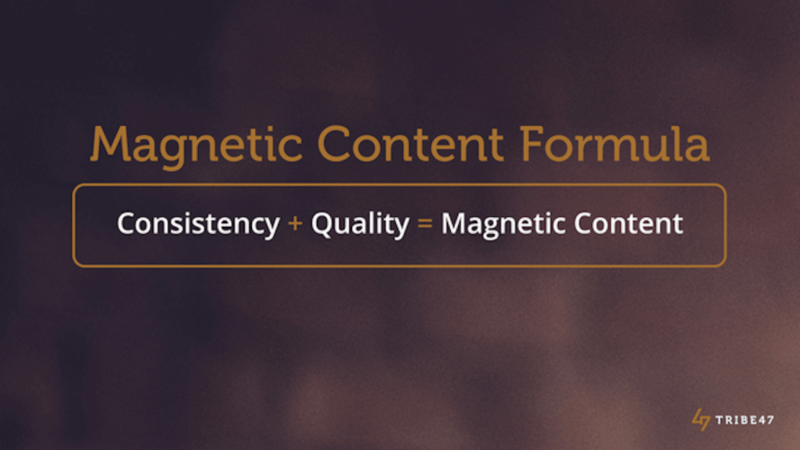 It’s not only about the form of the content, it’s also about the content of the content. It’s about what you want to say at different stages and how you want to say it. The thing with working with a funnel is, what you say at the very beginning is going to be very different than what you say towards the end — you have to have some foresight on where you’re headed. Differentiate your messages by use of videos, infographics, blog posts, webinars etc. Not only will your content vary in medium, but also in length. Digital marketing is a lot like the dating game. If you’re keen on a dating prospect, you wouldn’t expect them — whilst still a stranger — to give you an hour of their time straight off the bat, would you? Then why would you create hour long content and expect a prospect to pay attention? In the early stages of the funnel you don’t want to create content that is super complex, difficult to scan and understand and expect people to follow through with it. That’s expecting your audience to give you something you haven’t earned — the right for their attention. You need to be mindful of this fact. So I’d advice starting with ungated content that is short in length as you gain the trust of your audience with quality content delivered over stages. You can then make your content more complex and longer as they get more and more hooked and interested in what you have to say. 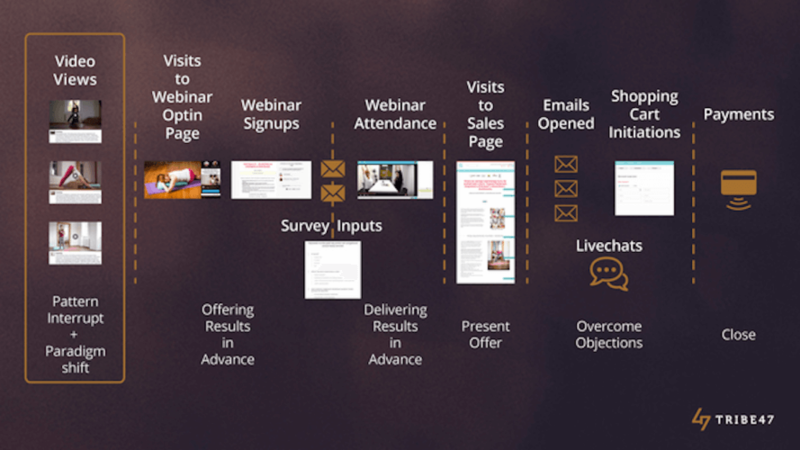 If you look at the example below for our business Portal Yogi, we started with short free yoga videos, and then moved on to webinars and finally we presented FAQs and case studies to drive our point home. We left these till the very end for when people were deciding if they want to use our product or not. Rule #2: Merge Content With Paid Traffic! What I’m talking about is driving paid traffic to the front of your funnel. The usual thinking is that if a business is going to spend money, they might as well spend it on content that leads to a sales page or opt in page that can generate sales. They want to see a bang for their buck, so to say. But what I’d like to iterate is, if you’ve got good content at the beginning of your funnel, then you should be sending paid traffic there as well as to your other content at different stages of your funnel. You want to make sure you’re targeting the right people and growing the reach of that content (and audience). And yes, that means you’ll be sending paid traffic to ungated content. Going back to the funnel example above for Portal Yogi, it might seem as if we’re giving away ungated content, and not receiving anything in return. However, what we’re really doing is closely tracking our audience’s movement. We’re taking notes on who is sharing, commenting, liking, how far these people watch the video (3 seconds, 10 seconds, 30 seconds? ), etc., because to us this is a huge indicator of interest in our product and/or brand. So ungated content is really just us warming up the audience whom we can then retarget for a second piece of content. If your audience goes through the same journey again, it shows a strong interest for the product. This is when we finally retarget ads that pushes the Persona to a sales page (which is deeper in the funnel). Our personal recommendation at Tribe47, is to spend between 60-80% of your advertising budget on the content at the front of your funnel. Yes I said 60-80%! This might be mind blowing or hard to conceive for many business owners or marketing heads, but in our experience, we find this number justifiable (with success for later conversions). The goal is to warm up your audience — once you get them at that stage and into your funnel it is far easier to convert that interest into sales. This one should be pretty obvious, but it is astounding how many people don’t follow this simple rule. So many times I read really great articles that just end, without a clear guide on what to do next. Don’t get me wrong, not every article has to end with a big “Sign Up Here” button. But even asking your audience to share the post or leave a comment is a call to action. 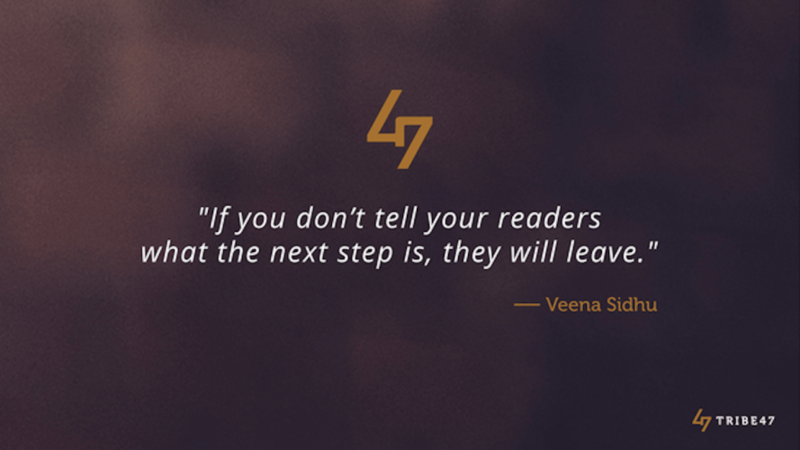 Here’s the thing: If you don’t tell your readers what the next step is, they will leave. So imagine you’re pushing paid traffic to your content without showing them what else they can do, and your audience leaves. That is a waste of money (and time and effort). Once you get your traffic, you should try and keep them for as long as possible and a clear call to action helps them to stay. You CTA is dependent on the funnel stage. For instance, if your content is at the beginning of your funnel, then you should invite someone to a landing page where they can sign up for a webinar. If they’re already at the webinar stage of the funnel, then usually after said webinar you’d invite them to check out your offer. Other examples that help guide readers on what to do next include the usage of links (related posts, what’s next, within the article etc. ), image ads and popups with articles, downloadable PDFs or infographics and more. 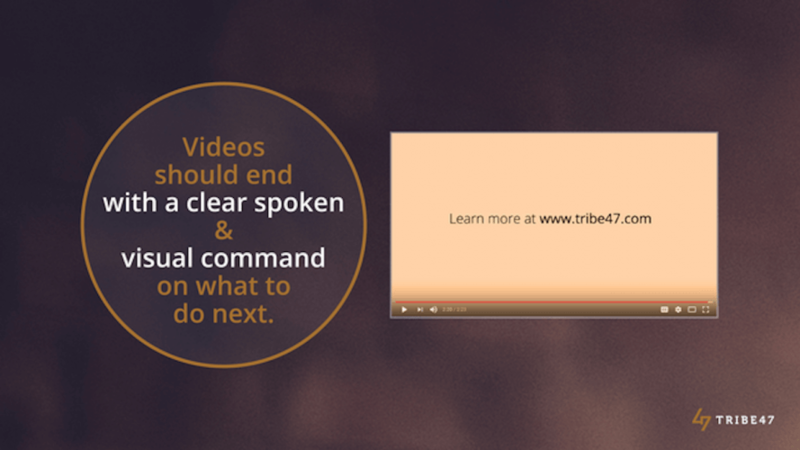 Videos should end with a clear spoken and visual command on what to do next. This is a pretty straightforward rule. Posting content on the wrong channel is just a waste. If your persona is on Facebook or YouTube a lot, then it makes sense to post content on these channels, if you want to catch the eye of your persona. As it stands, the younger audiences hang out on Instagram, Snapchat, and YouTube. If your audience is more professional, then maybe you want to reach out to them through LinkedIn. There is also Pinterest, Reddit, Facebook, Twitter and many more places where you could find your persona. So it’s really important that you know your persona, so you won’t waste time posting in the wrong places. Also don’t make the mistake of posting your content on every channel you can think of, for the sake of “casting a wider net”. Understand your persona, know exactly who they are and where they hang out, and go straight for that. For example, if your persona is in their 40s and a business professional, then Facebook, YouTube and LinkedIn would be clear channels, but Snapchat would be a “no”. Drive your marketing efforts and budget on where they are and not where you hope they might be. While most businesses have no trouble following the other rules, here is usually where they fail. Content marketing isn’t easy. It requires a lot of planning, processes and consistency. You can’t post one piece of content and expect miracles. You can’t hire a junior person and just get them to come up “with stuff”. In order to get people interested in your business, you will have to become a consistent content producer and build and manage the talent for that accordingly. If content marketing is how you’re going to promote and get sales for your business, then I’d suggest getting a content manager who can work with you or your team to plan and strategize and make sure quality and related content is going out to your audience. Consistency is you keeping the promises that you made to people who are observing your brand. Remember these people aren’t your customers yet, but they potentially could be. If you can’t deliver something as simple getting your content out, how can they trust you to deliver on your product? 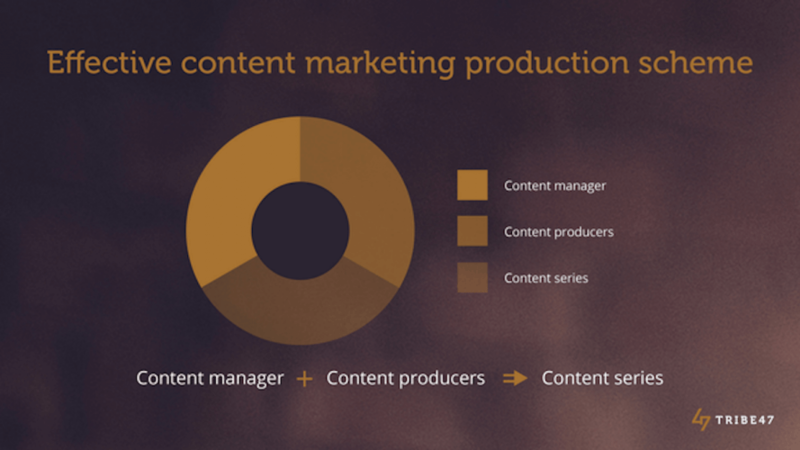 As for content creating, recruit content producers such as bloggers, video producers, etc. OR you could learn these skills and do it yourself. I have come across two types of business owners, those who want to do it all themselves and those who prefer a managerial role. There is no right and wrong, just do what suits you. Whichever role you chose, I’d advice to pay attention to overwhelm. This is when things stop being consistent. So don’t be afraid to ask for help if and when you need it. Content series’ are great! Not only are you “training” your audience to expect and consume your content, but it also gives you some structure to stick to. You are more likely to continue posting content if you know that someone is waiting to consume it. It’s also a great way to hold yourself accountable for regular content production and delivery! 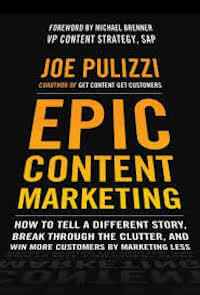 A good book to read if you’re interested in creating processes and consistency is Epic Content Marketing by Joe Pulizzi. It might seem like a lot of information packed into one book but it is a great resource for content production. I know I banged on about consistency, but I don’t mean you have to produce just any ol’ thing everyday or every week. Above all, go for quality over quantity since you want to deliver value to your audience. Once you have good content, there is no stopping you from repackaging the same piece into different formats like videos, podcasts, infographics, articles and more. Just because you have to be consistent doesn’t mean you have to create “new” content every time. Repurposing content is an easy way to keep your promise to your audience while not having to come up with something new. This also allows your audience to consume your content in ways that they are most comfortable with, be it video, audio, text or images. Before I end this article, I’d just like to assert that you don’t need to wait for a product in order to start producing content. Start without, start building the habit of creating content, get your content out there, start now, so by the time you do have a product, people will be ready for it. We shall talk about the most effective types of content in our next article, but meanwhile, take our quiz to see if you’re making any mistakes in your digital marketing journey. What has been your experience with content marketing? Let us know your thoughts below and share this article with any of your peers if you think it can help!